Nature and the cause are the main difference between the osteoarthritis and rheumatoid arthritis. Osteoarthritis is the kind of degenerative condition, while rheumatoid arthritis is a kind of autoimmune disease, where the body itself attacks the body’s joints. Osteoarthritis is due to the increased wear and tear on joints, whereas rheumatoid arthritis produces the inflammation of the joints throughout the body, also resulting in fever and severe fatigue. There are many forms of arthritis like gout arthritis, psoriatic arthritis, rheumatoid arthritis, and osteoarthritis. But the two most common and complicated is – Osteoarthritis and Rheumatoid arthritis among patients. Both are kind of chronic disease, which means they are for long-term. Neither any permanent cure is available for them. Both osteoarthritis and rheumatoid arthritis are frequently seen in women than in men. Often there is a lot of confusion between the osteoarthritis and rheumatoid arthritis, especially when noticing the symptoms. Even after knowing the fact that both cause pains in joints and are the type of chronic disease, which is non-curable. They have many differences in symptoms, causes, and treatments. Below we will discuss the main differences between the both. Meaning Osteoarthritis is the degenerative, chronic and non-curable disease of joints caused due to the continued wear and tear on joints. It is the most common form of arthritis. Rheumatoid arthritis is the kind of autoimmune disease, which affects the joints of the body's itself. It is also chronic as well non-curable disease and much severe than the osteoarthritis. Age of occurrence It starts at the later stage of life. It starts at any stage of life. Type of Disease Degenerative disease - which develops due to the damage to the cartilage between the joints. Autoimmune disease - which develops due to the attack of one's immune system, and thus affecting any joints of the body. Stiffness affecting fingers, hands or knees. Loss of energy, fatigue, decreased the range of motion. Possible spine and hip pain as well. Additional symptoms like fever and fatigues. Morning stiffness, which lasts around 30 minutes. Morning stiffness, which lasts for longer than 30 minutes. Body part which is affected It usually affects small finger joints, neck, toe and weight wearing joints e.g. hip, knees, back, ankles. Osteoarthritis ultimately affects only joint or part of the body. As it affects joints, so pain is felt in both hands, ankles, etc. Rheumatoid arthritis affects the multiple joints. To whom they affect Osteoarthritis strikes the older people, even the younger individuals who use their specific joints repeatedly. Rheumatoid arthritis can affect at any stage of life, especially women. It is based on Wear and tear levels in the joints. Symmetrical symptoms, meaning both sides are affected equally. 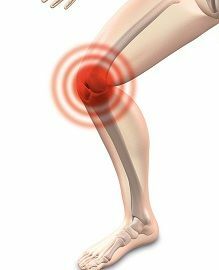 Osteoarthritis is the most common form of arthritis, where patient experiences the breakdown of the cartilage due to wear and tear on joints. This breakdown of cartilage causes the bones to rub across each other, which exposes the small nerves and thus resulting in pain. Osteoarthritis is degenerative, that means the condition will get worse with time. This disease is diagnosed through MRI, X-rays, imaging technique, which are helpful in visualizing the deterioration and damage taking place in joints and sometimes blood test is also performed. Osteoarthritis affects the thumb as well as finger joints, sometimes knee also. Unlike rheumatoid arthritis, there are no such severe symptoms. The cause of this type is the continued wear and tear on the particular joint in the patient’s body. Certain activities or sports involve the repetitive motion to the particular part, which may lead to hampering the joint or cartilage. In many cases, it is seen that the old injuries or the injuries that don’t heal properly may also suffer from the increased risk of developing arthritis. This disease develops at the later stage of life. In this condition, the pain affects severely and strike to the fullest over the course of mere weeks or months. This disease is much unpredictable. As this is is an autoimmune disorder, can results in numerous complications. Post effect like cardiovascular, respiratory disease and sometimes lupus as well lymphomas can progress. The reason for this is that rheumatoid arthritis develops differently in each patient. Rheumatoid arthritis is diagnosed primarily by the physical examination of the provided symptoms along with examining family history. Blood test, Imaging tests are also done with the patient to check the inflammation and damage of joints. The symptoms like stiffness, swelling, more fever, fatigue and most important pain in joints of fingers, hands, elbows, knees, and hip. Gradually they get worse with the time. This disease can be commonly noticed after the age of 30 to 60 years old person. Osteoarthritis can be defined as the degenerative, chronic and non-curable disease caused due to the continued wear and tear on joints. It is the most common type of arthritis; Rheumatoid arthritis is defined as the kind of autoimmune disease, which affects the joints of the body’s itself. It is also chronic as well non-curable disease and much severe than the osteoarthritis. Osteoarthritis starts at the later stage of life while Rheumatoid Arthritis starts at any stage of life. Osteoarthritis is the degenerative disease – which develops due to the damage to the cartilage between the joints, whereas rheumatoid arthritis is an autoimmune disease – which develops due to the attack of one’s immune system and thus affecting any joints of the body. Symptoms of osteoarthritis are the pain in joints, little or no swelling, stiffness affecting fingers, hands or knees, possible spine and hip pain as well, morning stiffness, which lasts around 30 minutes. The symptoms of the rheumatoid arthritis are painful joints, along with stiffness and swelling, loss of energy, fatigue, decreased the range of motion, additional symptoms like fever and fatigues, morning stiffness, which last for longer than 30 minutes. Body part which is affected by osteoarthritis are usual small finger joints, neck, toe and weight wearing joints e,g hip, knees, back, ankles, and ultimately affect only joint or part of the body, on the other hand, rheumatoid arthritis affects joints, so pain is felt in both hands, ankles, etc. and so ultimately it affects the multiple joints of the body. Osteoarthritis strikes the older people, even the younger individuals who use their specific joints repeatedly while rheumatoid arthritis can affect at any stage of life, especially women. Osteoarthritis is based on wear and tear levels in the joints, and rheumatoid arthritis builds on the kind of symmetrical symptoms, meaning both sides are affected equally. Intense pain during a morning, in joints. Tenderness or warmth in the affected area. Physical therapy used to help patients in managing both the diseases. Even light exercises, weight management and managing overall daily routine, following the proper diet will be helpful to the patient in maintaining their health. As neither of the forms of arthritis is curable. But the only aim for taking medicine or treatment is to reduce the pain. 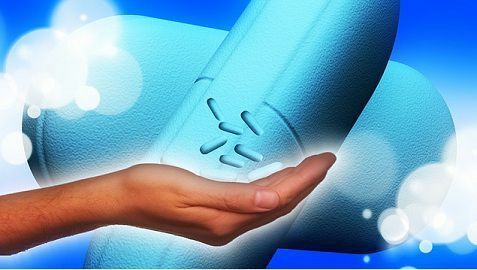 But as we have discussed that rheumatoid arthritis is an autoimmune disease, so in many cases, few drugs are given to stop the action against the owns immune system. From the article, we conclude that both are the kind of disease of joints, but rheumatoid arthritis is much severe condition than the osteoarthritis. As rheumatoid arthritis is an autoimmune disease affecting the body itself, while osteoarthritis is the degenerative disease of joints affecting on that part of joints which are continuously on work. We also came to know that both are the chronic disease and there is no permanent cure for both kinds of arthritis. However proper treatment available in the market for making the condition stable and manageable. Once should regularly visit the doctor to get the proper medication and treatment.